Video marketing strategy has developed eventually with massive technological advancement. Therefore an understanding of how to put this approach together need to be worked on. 2018 is the year of substantial digital transformation and so you’ll need to revolutionize your video marketing strategy too. Video marketing nowadays has become a significant part of a brand’s marketing scheme. Everyone needs to create a winning video marketing strategy to succeed in business. You must incorporate video fluidly into your marketing approach for better customer involvement. Hence, a complete pre-planning is necessary for immediate profit. As a new versatile and profitable digital marketing tool, video content is estimated to bring around 75% of all online traffic. 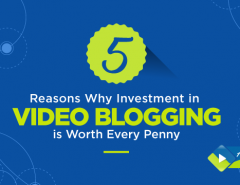 Most importantly, video marketing gives better ROI to organizations. Thus, to make your video marketing more powerful, you should have enough resources. You should have excellent marketing outlook to develop a winning video marketing strategy 2018. There’s a lot to think about before formulating a practical method for video marketing- what types of clips you’ll make, what goals you are aiming for, where you’ll post them for more effective results and how much time you should commit. Read along and find out how to create a video marketing strategy right now for noteworthy results and survive amongst powerful competitors. But before that let’s take a look at the importance of video marketing in business. Video marketing, a forward-facing marketing strategy engages your target consumers with a brand. This approach raises awareness of your brand and in turn, drives sales. Video marketing is used for promoting a brand and building customer rapport, live-stream events serve as a better medium to attract potential customers. Video marketing is all about advertising your product or service and deliver entertaining content that would draw customers to the company. A perfect video marketing strategy is data-driven. It is a marketing effort that requires monitoring of various metrics to track customer engagement. Today, consumers buy a product or a service from a company based only on trust. Building credence is a necessary marketing effort of every marketer. 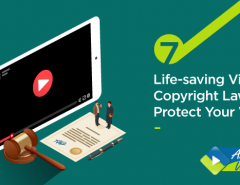 Videos are the most effective source that help a business to connect with their audience confidently. A shot clip enables an enterprise to say who it is. With this proven conversion results videos convert searchers to buyers and about 80% consumers are expected to purchase a product after viewing its benefits. Additionally, video improves SEO and creates backlinks to a site. As science proves it, human beings tend to retain information that they see compared to reading or listening. Hence, videos allow consumers to remember brand and company knowledge for a longer period. This way an enterprise becomes visible and enjoys an incredible increase in sales. The most prominent challenge of video marketing – marketers fail to create compelling video marketing strategy that would persuade the consumers to buy instantly. If you want your video marketing to have results; plan, research, test, analyze and finally present your information to your customers. The goal of every video should be to tell a story that entices customers and compel them to buy. The first and foremost thing which a marketer should focus on is to establish his niche amidst his competitors. Videos are the best method to capture leads, but the success of it depends on the quality of the content you’re delivering. Plan to provide your customers something different not that which people can find easily. Your offer can act as an incentive for your readers and they will be happy to receive information from an entirely different perspective of similar kind of product. Develop something that is unique from what a competitor has to offer. Today the art of storytelling works wonder. Communicate with your prospective clients with beautiful stories about your company, your brand and your service. But it’s not enough to simply tell your stories; initiate engagement of your audience with exciting versions. Does the video align with marketing goals? Plan a solid content that aligns each level of your sales funnel and finally completes your marketing goals. Outline contents that would determine your video’s success immediately. 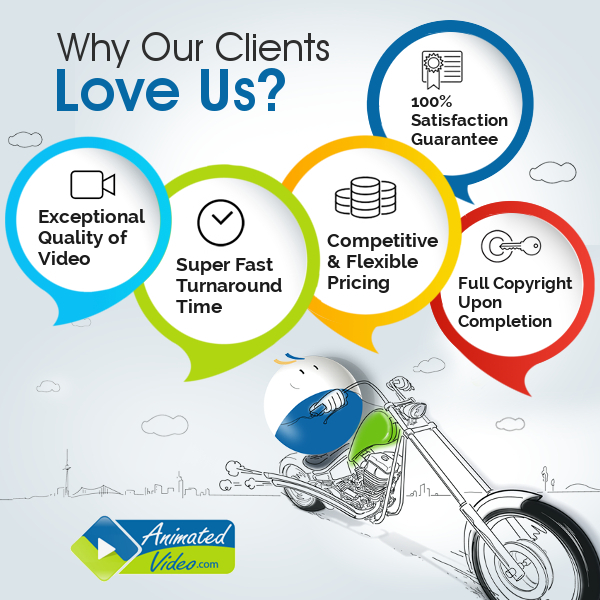 A b2b video marketing strategy highlights what you have to offer to your clients. Videos should say it as explicitly as possible. Your video content should help your customers and prospects to get the answers they are looking for. Social media has taken over the marketing world and is the best source to act as a bridge between the companies and target clientele. Social platforms are the best place to advertise for your plans. Integrate video marketing campaign with social media and promote your brand to a larger audience. It is estimated that 80% videos that get maximum engagement are from social platforms. Your customers might be apprehensive regarding your brand. But a well-promoted video is the best way to prove your credibility. According to recent video marketing trends, sharing clips on the social platform would bring incredible results. Upload your brand videos to Google-owned YouTube for extensive promotion. This perfect approach will let company reach clients worldwide through many likes and shares of the published videos. When it is about using videos as a marketing tool, a well-devised call to action is necessary. Videos are the best method to convert leads into customers. 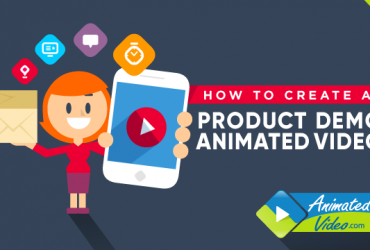 So, video creation is not the end of video marketing; there’s more to it. A b2b video marketing strategy is result-oriented and video marketing is complete when the call to action is appropriately integrated. Once you bring customers to your loop, let them know about their next step. If consumers don’t understand what to do next, they would slowly move away from your circumference. The call to action is the ambit of a powerful video marketing strategy. Add just a few words at the end of your video that could lead to a conversion which is hard to achieve otherwise. A website portrays the personality of an organization. The site is the first element which a potential visitor comes across when he seeks information of a particular brand. So, one should present all kinds of information on a company website in different ways. As attention spans are short, hence, the best method to reach to clients would be through videos. Embed engaging and informative videos on your website. 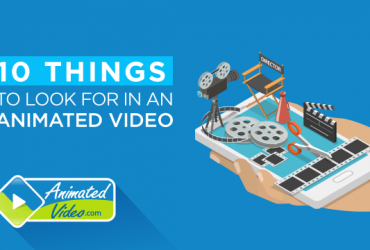 According to the recent video marketing trends, include different types of videos – animated or typographic for better results. Bottom line, marketing strategy continues to evolve gradually. To keep pace with this growing change, consider a solid video marketing plan. Whether you’re a small business or have years of experience, you must be aware of the recent video marketing tactics to grow your business. 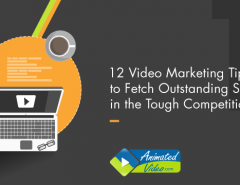 You need ideal plans to formulate useful marketing results through videos. But, a scattered approach would arise wasted efforts. Instead, adopt a thoughtful strategy to leverage sales and profit.